The regulation applies to majors and universities that have not received official accreditation in education quality. It specifies that if an educational institution has 90 per cent of graduates finding employment within one year of graduation, they can choose either to keep the recruitment quota from the previous school year or raise it by no higher than 10 per cent. But if this percentage is achieved by forcing non-performing students to leave school, they are only allowed to raise the recruitment quota by no higher than 25 per cent of the number of students they had forced to leave over the previous four years. Dr Nguyễn Thị Kim Phụng, head of MoET’s Department of Higher Education, said the regulation would help bridge the gap between labour supply and demand. “There has been a drastic increase in the number of universities and their educational scope as we are striving toward having 450 students for every 10,000 people by 2020,” she said. “But we have not been able to ensure teaching quality at these institutions, so a lot of students have been unable to find jobs after getting their Bachelor or Master’s degrees, or having to work as manual labourers or in professions unrelated to their majors. 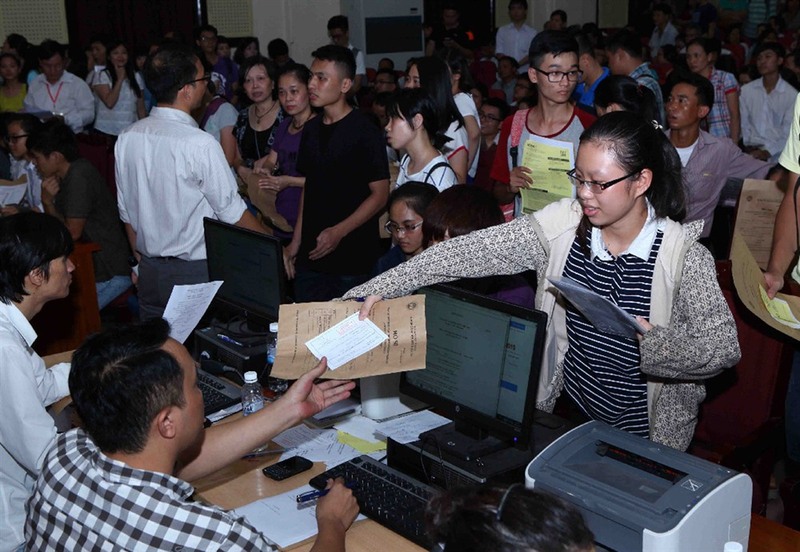 Dr Vũ Thu Hương, a lecturer at Hà Nội National University of Education, said one year after graduation was not a realistic indicator of a student’s employability. “Graduates often have a lot of choices after they finish studying, such as going to study abroad, getting another degree, pursuing advanced study or getting married. In some instances personal situations prevent them from doing so. Professor Nguyễn Văn Minh, principal of Hà Nội National University of Education, said he was concerned about the transparency of statistics provided by educational institutions. He said: “Many universities have provided similar percentages [of students finding jobs within a year after graduation]. This should be tackled as soon as possible otherwise there would be no point in making student data public. The accuracy and trustability of statistics has also raised concerns among educators. Although statistics from the HCM City University of Education last year showed 100 per cent of its French majors were employed after graduation, only 15 of the 35 graduates responded to the school’s survey. The statistics also showed 93.3 per cent of the school’s Japanese majors found employment, but that was taken from only 30 of 104 graduates who responded to the survey, of which 27 landed jobs.